"As one of the first pairs to participate in the Couples/Friends training, my wife and I received all of our flight training from Jess Everson. I was, and still am, very pleased. Not only did he teach me how to prepare for flight and how to perform up in the air, all the while keeping me feeling safe, but Jess shared with me an approach to flying that is serving me well after I passed my check-ride. During our lessons, Jess took us all over western Oregon, flying to new airports…flying lessons that were fun and adventurous. During that process, he also taught me to prepare well and respect the dangers of flying. The end result is that I have a new part of my life that I love. I can prepare quickly, know my limits, deal with issues that arise, and safely enjoy life in the sky." The second you meet our experienced flight instructors in person, you will realize what sets About Time Aviation apart from other pilot training schools. Dedicated, patient, calm, and professional, but always quick with a laugh and helpful encouragement, our instructors will train you to become a skillful, competent and safe pilot. I took my first airplane ride in a sea plane when I was 8 years old, and from that moment on I was hooked. 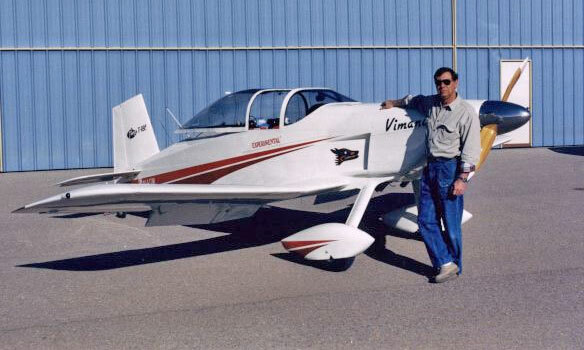 I earned my private pilot license in 1981, and continued my pilot education by adding instrument ratings and a commercial license. 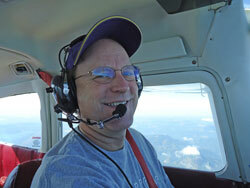 In 1989 I received my flight instructor license and have been enjoying my time in the air ever since. 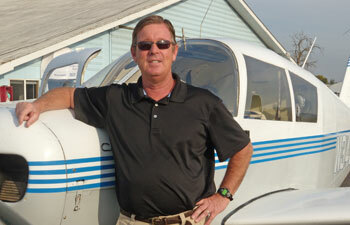 Many instructors view teaching as a way to quickly log hours and move on to another type of flying. As an instructor, I already have the job I want. Simply put, I love to teach. For this reason, I believe my students benefit from my thousands of hours spent teaching flying as a career. I have taught students as young as 11 and others as old as 80. Everyone has a unique learning style, and it is rewarding to me to match my instructional approach to that style. Whether you are learning to fly for a pleasure, business, or as a career, I will match our program to your goals. My love of planes and flying began at age 7 when I would head out to my Grandma's pasture with rubber band-powered balsa airplanes…hoping to not land in the cow pies. From there, my love of planes blossomed and by the time I was 17 I was washing and gassing airplanes at the original McKenzie Flying Service in Springfield, OR (now a Walmart). By age 20, I was a commercial pilot, flight instructor, and about to join the Air Force! Over the next several years, during my time in the Air Force, I continued to gain more experience as both a pilot and pilot instructor, flying T-38s in San Antonio, TX and teaching at the Air Force Aero Club in Champs & Cubs in Okinawa, Japan. By age 24, I was co-piloting DC-3s. After leaving the Air Force, I continued to fly as a commercial airline pilot, and also served for five years as an instructor (Check Airman) for Continental Airlines on the MD-82. At age 60, after 36 years of airline flying and approximately 29,000 hours, I set the parking brake for the last time on a B-777-200 in Houston, TX, after flying over the Pacific Ocean from Narita airport near Tokyo, Japan. My career as a pilot has been a heck of a ride, but I'm not ready to stop flying yet! As an instructor, I love having fun and sharing my experience and experiences, while emphasizing solid, fundamental airmanship. With a flexible and adaptive schedule I am available for in-flight instruction as well as assistance with ground school academics and test preparation. Come out to the Creswell airport ATA office and take a Discovery Flight with me! *I specialize in tailwheel instruction! Flying was something I always wanted to do. In 1992 I decided it was time to fulfill this lifelong dream, so in April of that same year I took my first flight lesson. By September I had received my private pilot license and I haven't looked back since! 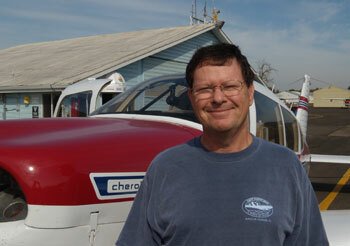 In 2000 I obtained my flight instructor license and began teaching full time in 2002. Learning to fly is an amazing and fun experience, but it takes time, money and a strong commitment to get your pilot license. For me though, every time I takeoff and climb over the Willamette Valley, I am extremely pleased that I made that decision to fly. It has been over 20 years and it is still something I look forward to doing every day.